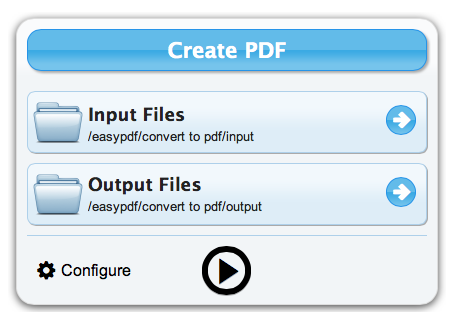 Go to EasyPDFCloud.com and click on the conversion type you would like. Choose the file you want to convert. The Output Files list will appear. Click on the checkbox beside the new file and then click on Download button at the top. Go to EasyPDFCloud.com and click on Sign Up button at the top. Choose a username, enter your email address (necessary to complete the registration), and password. Click on Sign Up. You will get an email with a link. Click on the link and you are done with your registration. Once you are signed in, click on the Create Workflows button and you will see three sample workflows. You can edit those workflows by clicking on the Configure button on the workflow. Make your changes and then click on the Done button at the top. Create a new workflow by clicking on the New button at the top. Then choose your options of input, conversion, edits, and output by clicking and dragging the modules into the workflow space to the right. Order, re-order the modules as you see fit. You can link to your Dropbox account by clicking on the Dropbox Input module and then authenticating using the yellow button on the right. You will be directed to Dropbox where you can choose to accept or reject this connection. 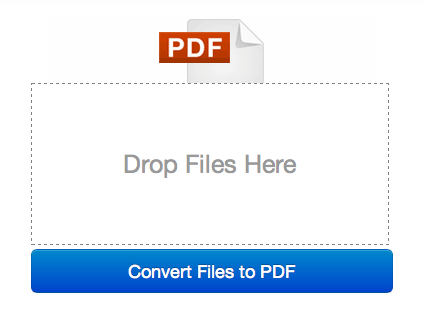 EasyPDF will create a new folder with two subfolders in Dropbox by default. Once you are done creating your workflow, you need to start it. At the bottom of each workflow box is a play button. Click on it and the box will go black indicating it is in use. The Dropbox workflows will monitor the designated Dropbox folder for files every five minutes. Just drop a file in the input folder and the file will be uploaded and converted before the output file is put into the output folder. NOTE: the file in the input folder WILL BE DELETED. Make sure you use a copy instead. The biggest draw for me is the ability to convert documents using Dropbox. I only found this last night, but I am already thinking about how I could use it to make it easier to convert all of my old documents to PDF. I only wish it read Pages documents as well. Got any ideas on how to use it? Add you comments or send me a Tweet. Thanks!